Girls come in all shapes and sizes. Boohoo recognises individuality. Boohoo is for girls! 30% OFF Autumn Styles - Teddy Faux Fur Aviator! Shop the Coloured Denim Range from just £20.00! It's International Woman's Day! Evie Woman T Shirt - NEW IN £10! 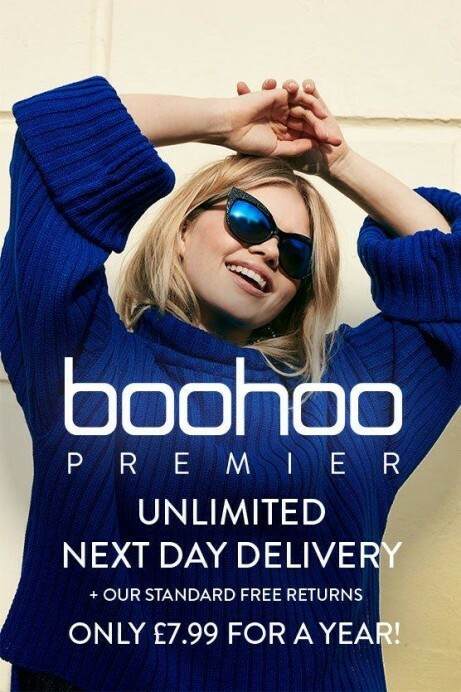 BOOHOO PREMIER: UNLIMITED DELIVERY FOR A YEAR £7.99! Shop the New Season from just £5.00!